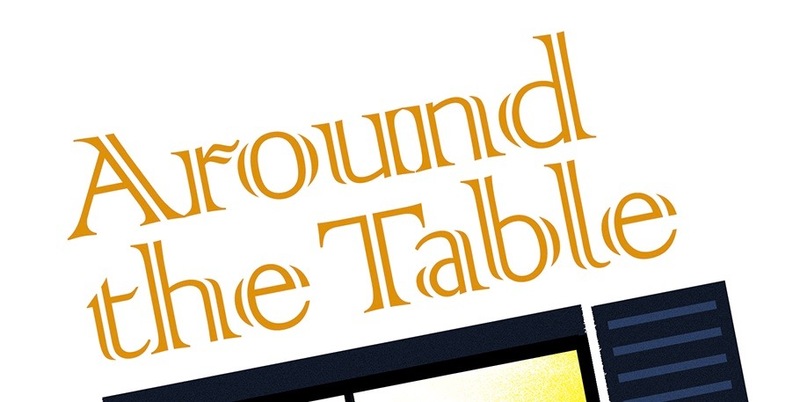 When the final edition of Around the Table went to the printing house, I invited a friend from church over to brainstorm about publicizing the book. Mindy's best idea was Connie! 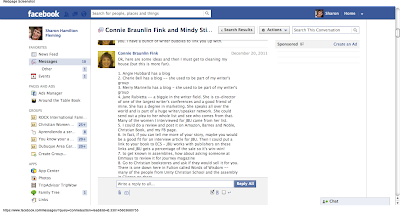 We knew Connie wrote a monthly column, "Women Like Us", for the Internet version of Just Between Us, but we didn't know she was a brainstorming wealth of information! I facebooked Connie and what ensued was probably the longest set of back and forth messages between three grown women on facebook ever! She had so many ideas for getting the word out about the book, that I was rather overwhelmed and printed out the "conversation" and highlighted what I needed to do, who I should contact, and how to get going. One of Connie's ideas was to contact JBU editor Shelly Esser about the possibility of printing an excerpt from the book in the magazine. This was not my first contact with JBU. While living in Colombia, I wrote an article that was published in the magazine. And earlier this year I interviewed Shelly for two posts for this blog. I sent Shelly a copy of the book and a query about printing an excerpt. Today in the mail I received five copies of the Autumn 2012 issue of Just Between Us with an excerpt from Around the Table in it! If you call and ask them, you might even be able to get a copy of the issue with the excerpt. But then, of course, you can always buy the whole book, too! In September, I will be holding a special give away for two items I bought in Turkey this summer, to help decorate your table. So watch for the August 29 blog post to find out the details. I'll give you a hint at how you can have a better chance at winning: think of all the friends who might be interested in reading this blog. Now hold that thought for a couple weeks! What Would You Like on Your Table?